The newest addition to our Therm-O Tote collection has a flat top that zips completely closed to keep contents hot or cold. 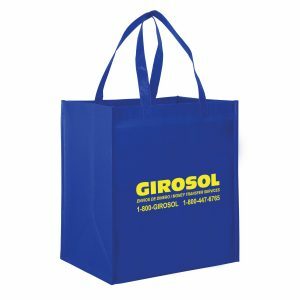 The insulated Therm-O Super Tote™ features a durable 238 combined GSM premium non-woven polypropylene exterior, thermal foil interior, dual reinforced handles, and a plastic bottom insert. 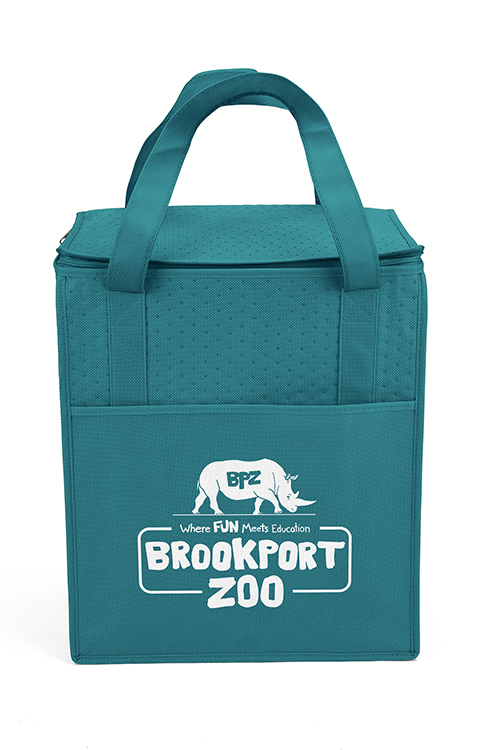 Therm-O Super Tote Insulated Cooler Bags have a flat top that zips completely closed to keep contents hot or cold. These eco friendly green shopping bags will take your next marketing campaign in the right direction. View other great options here. 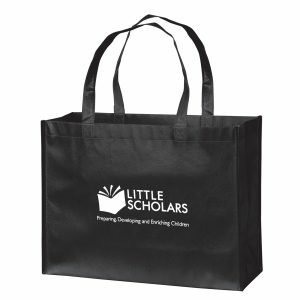 We offer many top quality custom insulated grocery tote bags and green bags. 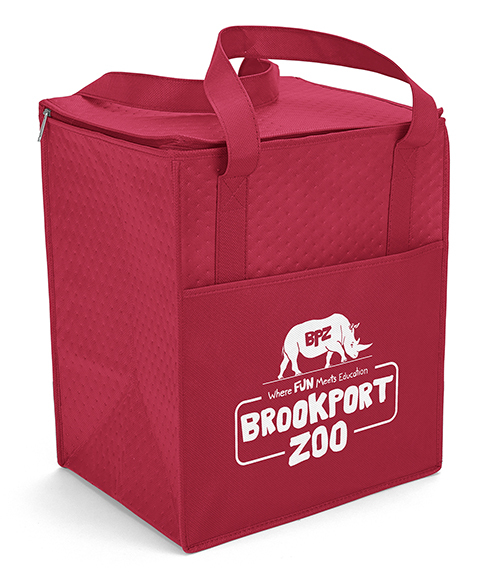 Therm-O Super Tote Insulated Cooler Bags have a flat top that zips completely closed to keep contents hot or cold. 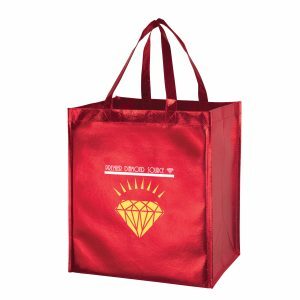 These eco friendly green shopping bags will take your next marketing campaign in the right direction. View other great options here. See our complete selection of products at customgreenpromos.com. 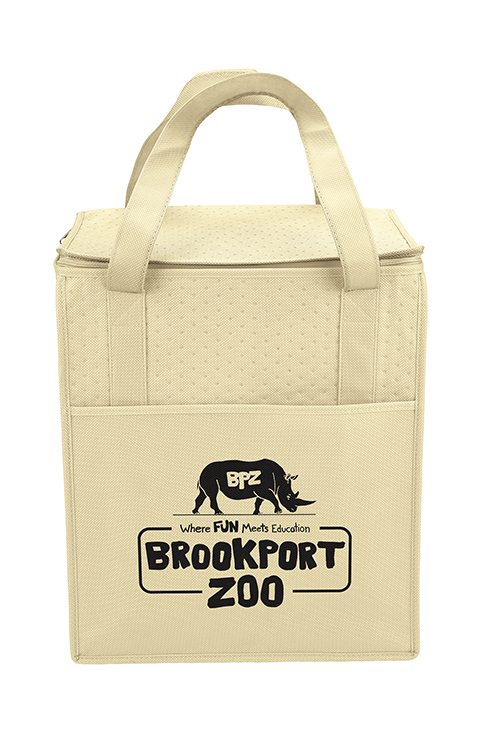 Reusable bags are functional, mobile and can be a very valuable asset to your next marketing campaign. They’re a very effective marketing and branding tool. Companies that use eco bags to advertise their business get a much better return on their investment and better exposure and impact. For these reasons, reusable grocery bags make an amazing marketing tool. In addition to the success they will bring your company, you’ll also be doing your part in preserving the earth. Call us for pricing toll free at 888-565-2235. Our sales team is ready to take your call. You can also request a free quote on any of our product pages and you will be emailed a quote.